In an increasing number of cities, the trend is towards organic or even self-grown fruits and vegetables. Perhaps a deterrent cause is the time spent on plant care. 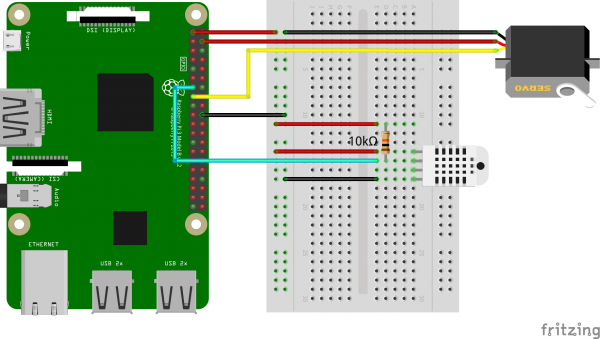 Therefore, this project involves the creation of an automated Raspberry Pi greenhouse, which reduces the work to a minimum. By automatic watering, airing and exposure, only harvesting must be carried out manually at the end. 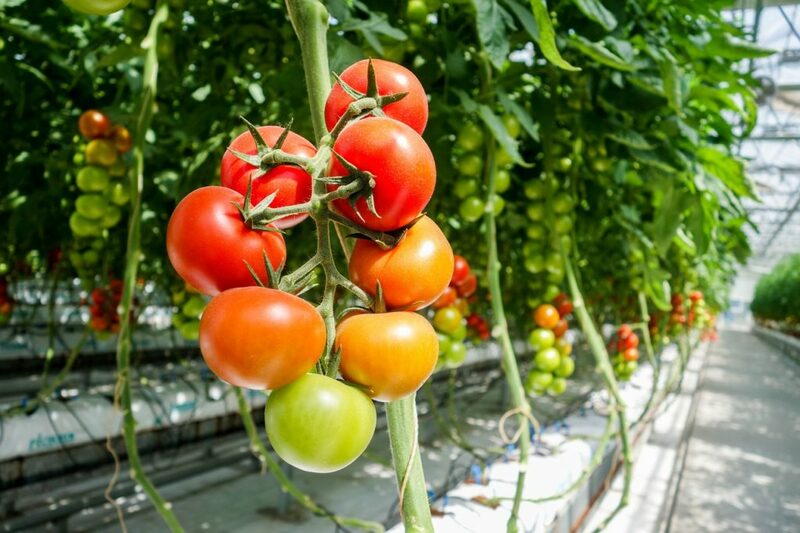 All actions (such as irrigation) are controlled by sensors in order to provide an optimal result. Due to the low space consumption (about 1/2 m²) it is also suitable for the urban balcony. Low growing plants are particularly suitable for the automatic Raspberry Pi greenhouse. I use two of the water pumps, since I have sown in two flower boxes. You can vary the number of sensors for soil moisture. Of course you can adapt the parts to your project. If you have a bigger cold frame / greenhouse, for example, you can adjust / optimize the code below for your purposes. The process may take some time. You can start building the hotbed. Now enter sudo raspi-config and select “Interfacing Options” -> “SPI” and activate it. Same with “I2C”. Reboot. We then install the necessary libraries. 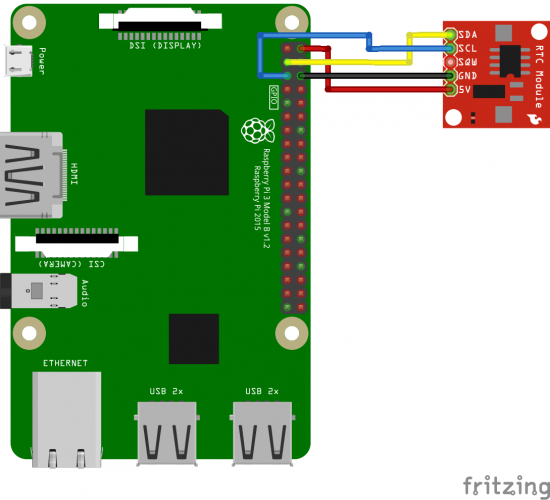 In principle, you have two ways to connect the Raspberry Pi with power. One option is usually via the Micro USB port. The disadvantage, however, is that you normally need two sockets. Therefore I show first how to power the Raspberry Pi over the GPIOs. Caution is advised, as a too high voltage can destroy the Pi! If you feel unsafe, choose the power supply via USB cable. 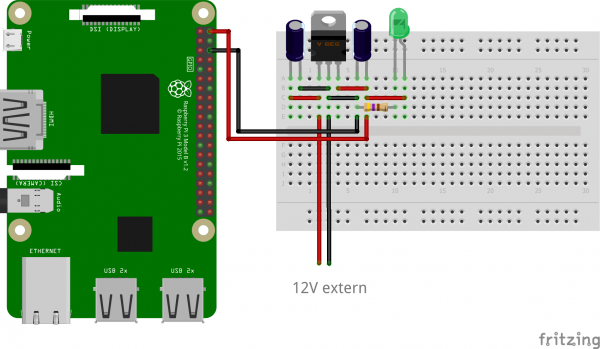 Before you connect it to the Raspberry Pi, you can measure the voltage with a multimeter. First of all, you can either follow each step and thus expand the program code or, as described at the end of the tutorial, download the code from the Github repository and then adjust it. This tutorial should be as customizable as possible, since everybody has other conditions. Therefore, the next part is divided into different, individual sections. So if you want to omit certain components (for example, no real time clock or no lighting), you can omit this part or adjust it accordingly. If you want other GPIOs or other settings, you can adjust this here. In the following sections, we extend the functions (if desired). 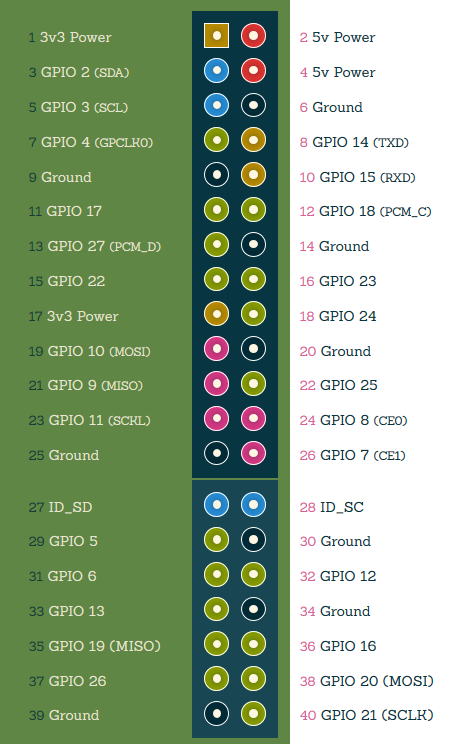 You can find the pinout of the GPIOs in this picture. 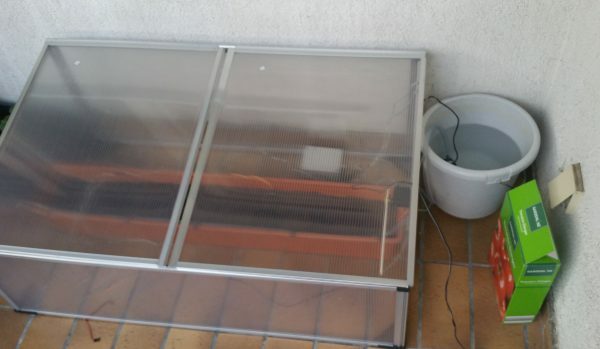 Before installing the electronic components, the cold frame should be built up. You can place 2-3 large flower boxes inside (depending on the size). In these you can either put young plants or seeds. Pay attention to the instructions on the packaging. In addition, it is necessary to fertilize the soil. If you want, you can also take special tomato or vegetable compost, which contain more minerals. If the Pi (e.g. after a blackout) reboots, it doesn’t know the current time and the date, if there is no internet connection. Therefore real-time clock modules, which have a battery are used to store the timestamp permanently. This step is optional and can also be skipped if there is a permanent internet connection. It is important that the two resistors (R2 and R3) are removed from the Tiny RTC (I2c modules) with a soldering iron. Typically, these modules return 5V signals, which is too much for the Raspberry Pi. Alternatively, you can use a 3.3V-5V TTL. This saves the current time. On the left side of the MCP3008 are the 8 channels which can read analoge values. So that the plants get enough light even on cloudy days, we extend the greenhouse by a bright ~20cm LED. You can also use a (water-resistant) LED strip and use this as additional lighting. However, the artificial lighting is only turned on when it is dark. Therefore we use a light sensor, which outputs an analogue brightness value, which we can read with an MCP3008 ADC. Alternatively, there are also light sensor modules which already output a digital value, whether the brightness value is above / below a threshold value. If you want to use it, you have to adjust the code slightly. One of the 8 channels is used for the light sensor (channel 0). We connect this via a pull-up resistor as shown in the figure. 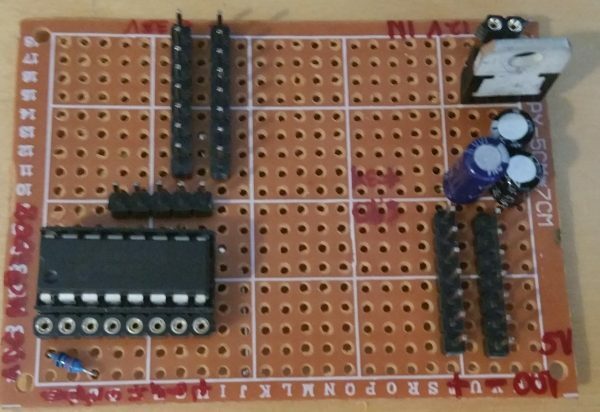 We also connect the relay (VCC to 5V, GND to GND and, for example, IN1 to GPIO17). If you supply the Raspberrry Pi via the L7805 with power, you can also take the 5V voltage directly from there. On the other side of the relay, the positive terminal of the 12V connection is connected to the middle terminal and the connection (+) to the LED at the lower end. GND of the LED strip is also connected to the GND of the plug. 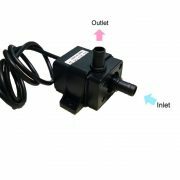 Small 12V pump for irrigating the plants. Irrigation by soil moisture is the core element of the greenhouse. For this, we need the submersible pumps, a hose and a relay for each pump. The moisture sensors are read out via the previously connected MCP3008. Since these minipumps are also operated with 12V, relays are also required. In my case, I have two pumps (one per flowerbox each). If you use more than 3, you should choose a relay board with more channels. First, we attach the hose to the pump. Next to the hotbed I put a bucket of water (see images at the end). The hose should be long enough to get from this bucket to the end of the flower box. The end of the hose I have sealed with some hot glue and have instead drilled every 10-15cm small holes into the hose. As the pressure increases through the pump, the holes should be very small. I used a drill-thickness of 1-2mm. Then I attached the hose to the edge of the flower box. On the other side of a hole I set a soil moisture sensor. Subsequently, the average soil moisture is calculated and decided on whether or not to pour. The analog pins of the soil moisture sensors are connected to the MCP3008. A conductor track leads to GND via a 10 k ohm resistor. The GPIOs which control the relays can also be set in the settings at the beginning of the file. For my two pumps, these are GPIO 23 and 24. The servo is attached to the inside with strong double-sided tape. I have the DHT sensor simply attached to the water resistant housing (next point). To change the temperature at which the hatch is to be opened, you can change the initial settings. If you have problems reading out (“ImportError: No module named Raspberry_Pi_Driver“), this post may help. Alternatively, you can also use GPIO 4, which is still free in my wiring. In the last step of the assembly, we pack the important control elements into a water-resistant housing. Here should be the Raspberry Pi as well as the relays and everything else that is water sensitive inside. I have drilled a hole on the lower side and all the cables that have to go in or out of it. In addition, the components can be soldered to a hole grid once everything has been tested. At the very least, the electronics and the potentially endangered connections should be kept away from water. It is best to choose a covered area. With CTRL + O we save and return to the terminal with CTRL + X. By the way: You can find the absolute path of a directory with cd and then entering pwd. Now you have nothing to do but wait. To save power, you can disable the wifi and other unneeded services. Even if there is already a lot available, you can certainly add more. I have the following points, of which I can also implement one or the other if necessary. If you have any ideas, feel free to leave a comment. Water level: Although we irrigate the plants automatically, however, we still have to pour water into the bucket. With a fill level measurement, we could send a message by e.g. the Telegram app as soon as water has to be refilled. Alternatively, a warning light (LED) can be installed. Measure the humidity: The DHT11 or DHT22 sensor can measure the humidity as well as the temperature. However, we are not using this at the moment. It would be conceivable to bring the humidity with water sprayers to a certain level. This is, of course, dependent on the plants. Heat: Especially in colder spring or autumn, it can sometimes be cooler. In order to create optimum conditions for the plants, one can also heat the air in the greenhouse. Cool down actively: So far, we only cool passively (window opens / closes). 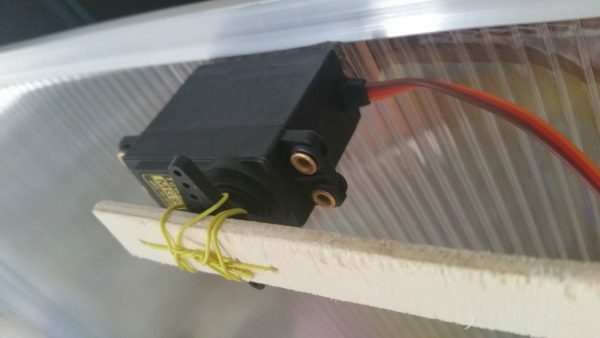 Through a fan, we could also actively cool at high temperatures. LCD Display: In addition, we could also use an LCD display so that we can see the current data on a screen. PS: You are gladly invited to link pictures of your automatic Raspberry Pi greenhouse or hotbed. Hi.. I am a student studying in 2nd year and I have took up your project. So can you help me with the code if I don’t want to use GPIO? This is the kind of project i was looking. Checked Wiring and Installed the whole stuff 4 times now…. anyone can confirm if its working?